Before the UK’s Royal Air Force commence flight trials of the F-35 Joint Strike Fighter next year, British F-35 Lightning II pilots will practise landing on the deck of the new Queen Elizabeth class aircraft carrier using a refurbished simulator. The bespoke £2 million flight engineering simulator created by BAE Systems offers a 360-degree immersive experience for pilots to fly the jet to and from the UK carrier. The refurbished simulator will test pilots’ skills landing on the deck of the new aircraft carrier in a range of difficult sea and weather conditions provided by the simulator. It comprises a cockpit moved by an electronic motion platform and a full representation of the ship’s flying control tower, where a Landing Signal Officer on board the carrier will control aviation operations. The 360-degree view for pilots is vital as potential obstacles on an aircraft carrier are often behind the pilots as they land. Over the coming months, the simulator will be used by UK and US military test pilots who have experience of flying F-35s on US carriers. Royal Air Force ship suitability testing of the F-35 onboard the USS Wasp in August 2013. 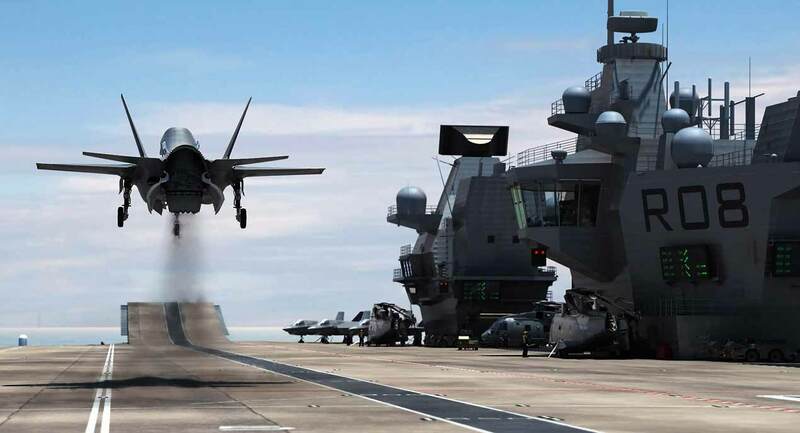 Peter 'Wizzer' Wilson, BAE Systems' test pilot for the short take-off and vertical landing variant on the F-35 programme, said the simulator trials will provide engineers with the data to begin flight trials on HMS Queen Elizabeth, the First of Class aircraft carrier in 2018. The new simulator replaces a previous version, which was first built in the 1980s to develop technology for the Harrier jump-jet and the Hawk advanced jet trainer before being converted for the F-35. The Queen Elizabeth class aircraft carrier sea trials were due to commence in the first quarter of 2017, but according to reports that timeline has now slipped to the summer. The Queen Elizabeth Class Carriers include a ski jump ramp for short takeoffs in place of the traditional catapult launch. 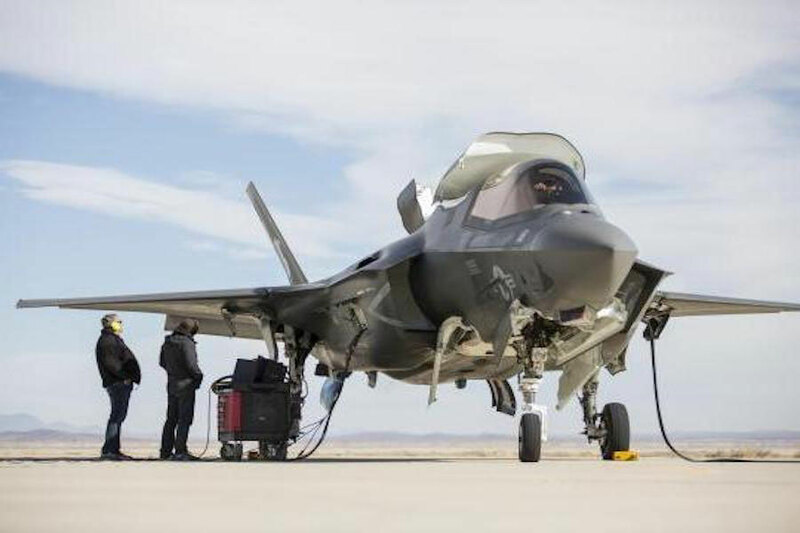 The UK’s F-35 programme has experienced a number of setbacks, not least of which was the political indecision over whether to buy the F-35B short take off and vertical landing variant or the F-35C. After changing its mind on more than one occasion, the government finally settled on the F-35B variant in 2012 as the cornerstone of its carrier-enabled power projection programme. Initial Operating Capability for the F-35 at sea is expected by 2020, and for land by December 2018.